How Much Can You Make With Lyft (Seriously)? | Tips To Making More! With the concept of ridesharing catching up and with the ever-growing popularity of the two competitors, Uber and Lyft, drivers are facing the dilemma of whom to drive for. The answer to this decision lies in understanding how driving for Lyft can benefit the drivers and how much they can really make by driving for the company. 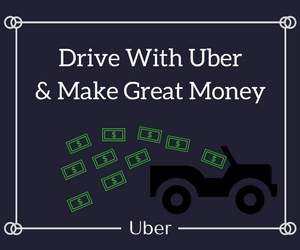 In this article, we will discuss how much Lyft drivers can earn and how they can maximize their earnings. Although Uber holds 72% of the U.S. market share and Uber drivers claim they are busier, the per hour earnings of Lyft drivers seem to be more. According to a 2017 survey, on average, Lyft drivers earn around $17.50 per hour, which is $2 more per hour than Uber drivers, who make around $15.68/hour. How Can Lyft Drivers Potentially Earn More? Usually, most drivers have the Uber and the Lyft app and drive for both. These drivers run the Lyft app exclusively most of the time or they turn on the Uber app in some places. Such drivers earn more on Lyft. The drivers usually run the Lyft app exclusively when they are in the busy downtown or city areas. Usually in the suburbs, Uber is busier than Lyft, and in such areas, the drivers run both the Uber and Lyft apps. Even on very slow days, the drivers turn on both the apps. With this strategy of using the Lyft app as the primary app and the Uber app as the backup one, the drivers can earn much more per hour when they drive for Lyft. According to a report, Lyft drivers make around $210 per month, compared to Uber drivers who earn around $155 per month. And, although the average earnings of both Lyft and Uber drivers are approximately the same per month, Lyft drivers earn more in tips. In major markets, both drivers who drive mostly for Uber and those that drive mostly for Lyft, tend to make the same amount of money per week as they are full-time drivers with more experience. However, in the case of smaller towns, suburbs and smaller markets, Uber is busier than Lyft and the Uber drivers seem to earn more per hour. This occurrence is due to the fact that Lyft has not gained its footing in these areas yet. While Lyft has its presence in these smaller markets, it may be quite difficult for the drivers to make a living by driving just for Lyft full-time. Although Lyft has been growing much faster than Uber since 2017, most of the growth has been in the metropolitan areas. Now, Lyft has turned its focus on developing the demand in the smaller markets. If you operate within 25 miles of a metropolitan area with around 1 million people or more, then you can earn almost the same driving for both, Lyft or for Uber. If you focus on driving around in the close suburbs or in the city, you will have better earning with Lyft. However, if you operate far out or in a town with a population of around 75,000 people, then Uber is probably a more lucrative option for you. Should You Sign up for Lyft? If you want to earn extra money and if you live close to a large metro area, then you should consider signing up to drive for Lyft. Signing up to drive for Lyft, you can expect to earn around $12 – $18 per hour depending on the size of the market. You can expect your earnings to increase after you have done around 100 rides. Why Do Lyft Drivers Earn More per Hour? The reasons why Lyft drivers earn more per hour can be attributed to 2 reasons: commissions and tipping. Both Lyft, as well as Uber, take a booking fee and a commission for each ride. Uber retains more of the individual fares paid by the passengers as compared to Lyft. Around a year back, Uber began the concept of Upfront Pricing, which informs the passenger what they will be paying when they book an Uber. Before the concept of upfront pricing was introduced by Uber, 20-25% of the ride fare and the booking fee was taken by Uber. However, now after the concept of upfront pricing being introduced, the amount taken by Uber can range anywhere from 5% to even more than 50% of the fare paid by the passenger. Lyft also has a similar strategy of upfront pricing; however, it takes a smaller cut of the passenger fare, which means that the Lyft driver will get larger earnings. The other reason why Lyft drivers earn more is due to tipping. Since the service was started, the passengers using Lyft could tip the drivers via the app. Until very recently, there was no option in the Uber app wherein the passengers could tip the drivers. In fact, Uber informed the passengers that there was no need to tip the drivers. Finally, in 2017, Uber also introduced the feature of in-app tipping 6 years after the launch of its service. However, it has been noted the passengers of Lyft tip at a much higher rate when compared to Uber passengers. What Can You Actually Earn Driving for Lyft? Your experience level as a driver. The number of trips accepted. Period 1: This is when the driver signs into the Lyft app. Period 2: Driver accepts the ride request. Period 3: Driver drives the passengers to the destination. the median earnings of a driver are around $29.47 per hour nationally and around $31.18 per hour in the top 25 Lyft city markets in Periods 2 and 3. The driver may be online but may not be driving passengers in Period 1. This waiting period drives down the average earnings, as in this time the driver is working but without any customers. Period 1 is variable with some days being extremely slow, while other days are very busy without any downtime. The estimate of earning of Lyft drivers including all the 3 periods is around $18.83 per hour nationally and around $21.08 per hour in the Top 25 Lyft cities. In the 1st week, earnings of around $15 per hour is a good start in most of the markets, particularly if you are driving during the busy hours. However, in some markets, your earnings may be around $12 per hour and in larger markets, you can even earn as high as $18 hourly or even more. And, if you drive for the Lyft XL (with a minivan or an SUV) or for the Lyft Premiere or Lux (with high-end vehicles) segments, your earnings will be much higher. This amount is of course not the final amount that Lyft drivers take away, as you need to take into account the costs such as gas, car maintenance, taxes, etc., which come to around $3-$5 in an hour. In the ridesharing scenario, the driver’s experience plays a very important role, and drivers with more experience can earn much more than those with lesser experience. For example, a driver with an experience of 1,000 rides will probably earn much more than drivers having 100 rides or fewer. The reason for this difference is that the greater the experience, the more efficient the driver will be and the better the driver will know his/her way around the areas, which translates into higher earnings. When Lyft drivers are asked the question of how much they earn, many reply according to the personal goals they have achieved, such as keeping the house running during a career gap or making a down payment on their home. The time taken to achieve these goals may vary according to the location, season, and lifestyle of the drivers. Training on the best areas to drive which is enabled by heatmaps that work real-time. Reducing expenses by means of maintenance, fuel discounts, etc. through Lyft’s Express Drive and Accelerate programs. Pay transparency that shows the net earnings of the driver, passenger payments and what Lyft takes. Specialized rides and bonuses for good service. Support for the Lyft drivers including advice on tax filing from Inuit and educational benefits from Guild Education. Lyft takes responsibility to treat its drivers well and enables them to succeed, as it believes that its own success depends on the success of the driver community. Lyft works to create the best economic opportunities for its workforce. Finally, ridesharing is a great way to make extra money; however, how much money you can earn as a Lyft driver depends on how you effectively manage your time.